Okay, I have been at this knitting for a few weeks. 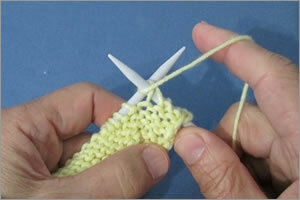 I can make a slip knot, cast on, knit, purl, and bind off. 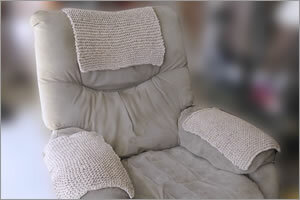 I have practiced a lot and completed three projects; a golf ball washcloth, a phone mat, and a set of armrest and headrest covers for my La-Z-Boy armchair. 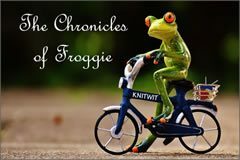 And of course, I have made lots of mistakes along the way and become quite adept at frogging. My enthusiasm for learning how to knit is still high, despite the frustrations that I have experienced with my learning-to-knit books and with my teacher, my avid knitter wife. 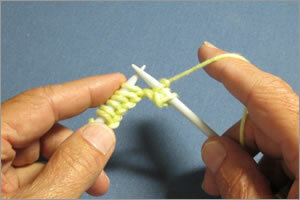 So let me sound off and share with you some of my learning how to knit Beginner Observations. I am now ready for my most ambitious project and adventure to date. Mind you, I am just on the fourth page of my Knitting Made Easy book and I have so much more to learn, but I have all the skills I need for the project that I have in mind. What makes this project so exciting and compelling for me to do is that I aim to kill two birds with one stone. You see, I hope to beautify my old and ever so comfortable La-Z-Boy chair and at the same time end the conversation about replacing it – a subject which my avid knitter wife has been bringing up with increasing regularity. Wish me luck! 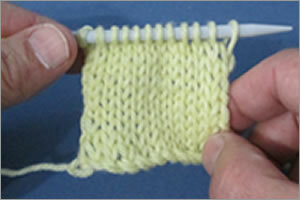 I really enjoyed learning the Stockinette Stitch. Though I initially struggled with inadvertently making Knit Stitches in my Purl row and sometimes forgetting to alternate between rows of Knit and Purl Stitches, I found a way to overcome those mistakes by saying to myself, “Knit down, Purl across” as I went about my work. 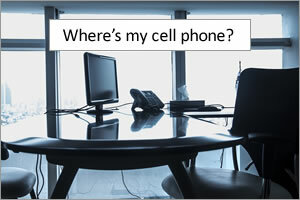 After an evening of practice I got the hang of it and I got an idea for my second project, a solution to a problem that I have with my cell phone. Now on to Purl Stitches. 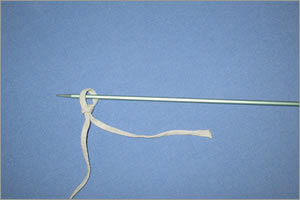 My avid knitter wife suggested that due to my past difficulties in understanding the illustrations and instructions in my Knitting Made Easy book, I should let her show me and explain to me how to make a Purl Stitch. Wanting to learn how to make a Purl Stitch all on my own, I started to suggest that I would like to give it a go without her help. But no sooner than I opened my mouth did I get that spousal look, so I said, “Fine. Let’s do it your way.” How do you think things went from there? 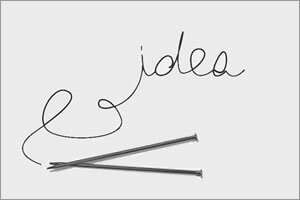 I have a great idea for my first project. 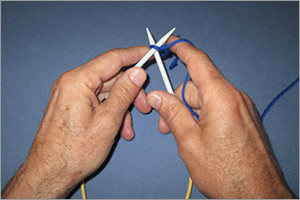 Granted, I have just learned how to make a slip knot, hold the needles, Cast On, and make a Knit Stitch and I have a lot more to learn. But as an avid golfer that plays golf just about every day, I have a particular unmet need for which I think my newly learned knitting skills can meet. I am up for a new adventure and I am ready to give it a go. Am I being too ambitious? Let’s see! Now on to holding the needles. 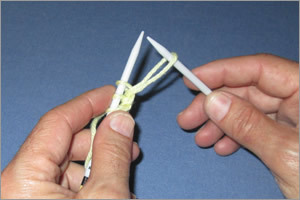 I had high hopes that this would be a straightforward easy thing to learn as I am not sure that I am up for another student-teacher row like the one I just had with my avid knitter wife over how to make slip knots. Hopes dashed. So my wife gave me this book by Coats & Clark called Knitting Made Easy. Yeah, right. It is a small book, more like a booklet. 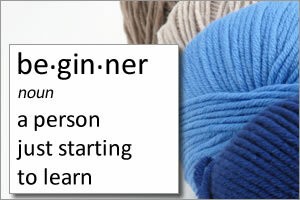 The subtitle of the book is Beginner Basics: Instructions, Diagrams, Patterns. Just what I needed, or so I thought.